Recently we received lots of new hardware destined for a customer that has multiple locations world-wide. They need a robust server solution for their production environments locally. The environment is small in terms of number of VMs, but there is high demands on the environment and we need local hardware at the sites as the connections to these sites varies and they are not fast enough at all times. Our solution for these locations was to deploy a small vSAN environment at each site together with the local network gear they need. While performance and stability being the key factors in the project we also had to have cost in mind (as always). 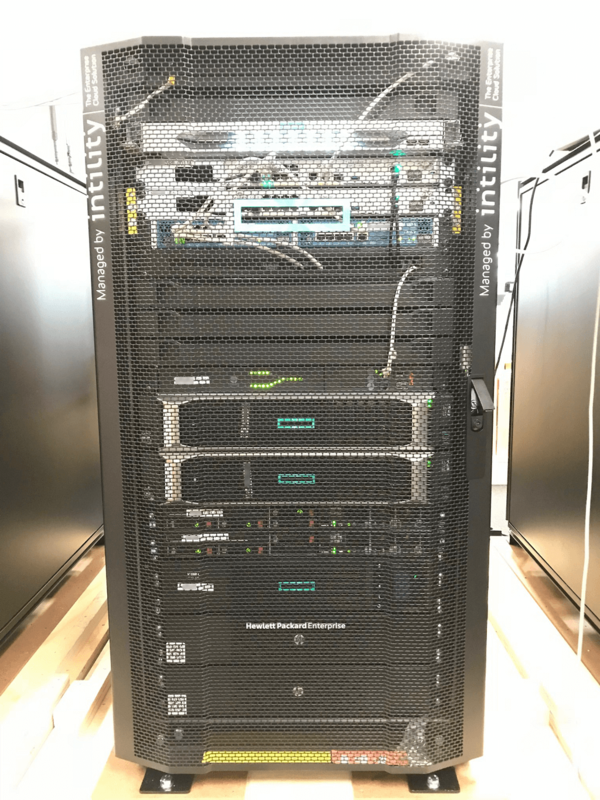 Together with the customer we decided to deploy a two-node vSAN cluster with a witness host (appliance) and a local physical domain controller. 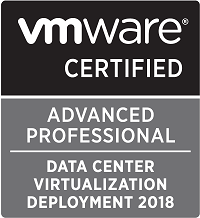 vSAN Hosts: Two HPE DL380 Gen10 servers with 64 GB RAM, two 400 GB SSD disks for the cache tier and 4 600GB HDD disks for the capacity tier. Witness: To run the witness appliance we have chosen the small HPE DL20 Gen9 server with 32GB RAM, two 480GB SSD disks and 4 2TB HDD disks. 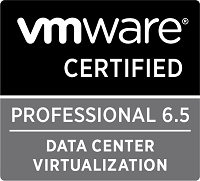 This host is installed with ESXi and are running the witness appliance together with a virtual backup appliance. The disks are put in RAID1 (SSD) for running the two VMs and RAID5 (HDDs, one disk as hot spare) for the backup data. 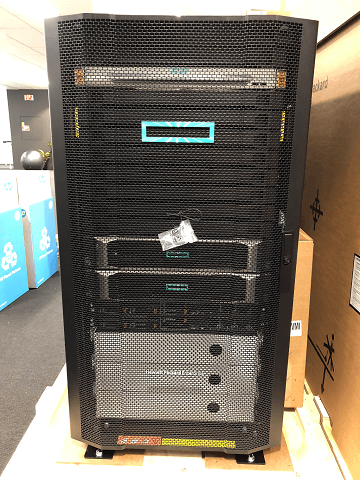 DC: HPE DL20 Gen9 with 16GB RAM and 3 240GB SSD disks put in RAID1 (one disk as spare). Networking wise we’re gearing the solution with two Cisco 892 routers, two Cisco 2960 switches, a Cisco Aironet accesspoint and a Palo Alto PA-220 firewall. We are also putting in a 4G backup router. Everything is backed by a HPE UPS that should be able to keep the equipment up for a couple of hours in case of power outages. As you can imagine the cost aspect comes in play with the DL20 servers as they are not very performant, but they serve their purpose. Likewise with the 1G Cisco switches that one could wish to be replaced with 10G devices, but with the expected amount of VMs and network traffic they produce, they should also be sufficient. The VSAN traffic runs on direct links between the two hosts. 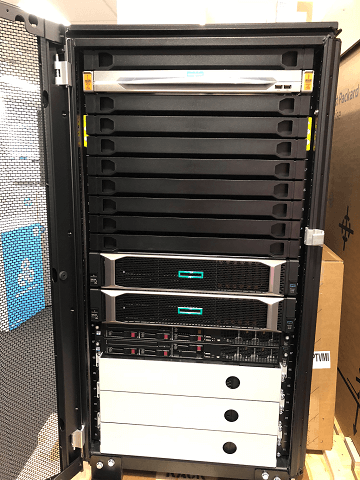 All of the gear is racked in a half-height (22U) HPE rack and the rack is also equipped with a HPE KVM switch connected to the four hosts. 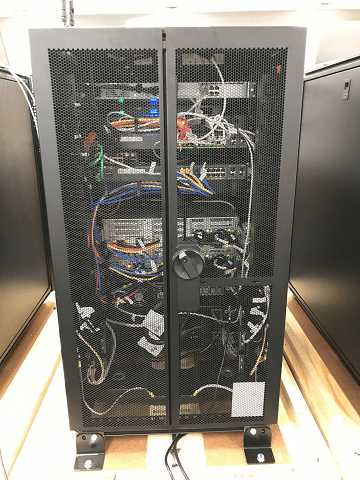 _Update:_ Just to clarify, this solution will have the one rack as one single physical fault domain, so if you are looking for a more fault tolerant solution you should of course split the hardware on different racks, datacenters etc as you need. As this is a smaller local environment the setup has been justified. The racks are prepared and staged at our head office in Norway before they are shipped to the different sites. A couple of pictures pre- and post-racking of the network gear with color coded network cables and the works. With 7 of these racks we of course looked at automating the setup. We will look at that in an upcoming post.